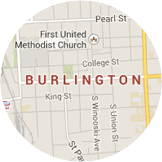 Burlington, VT averages 24.4° F in winter. You need a well-insulated garage door to keep the heat inside and the cold out. There's no better way to understand the quality of our products than to watch them being tested against others in a lab. Your door is only as good as its installation. That’s why GARAGA offers its customers a network of certified installers. 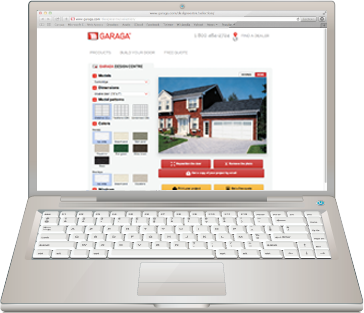 From Colchester, VT to West Chazy, NY, you can benefit from over 22 years of combined experience with GARAGA products. According to a cost-value study made by the magazine “Remodeling”, midrange projects to replace a garage door cost on average $1,403 in Burlington. In fact, houses in Burlington, VT recoup an average of 80.8% of their garage door cost when they are sold. As for upscale projects to replace garage doors, their average cost is $2,583 but in this case, you get a midrange 12.8% better return as you recoup 93.6% of your cost when you resell your home. Top 2 most popular door models in Burlington, VT: Acadia 138 and Standard+. The GARAGA garage door specialists in the Burlington, VT area are masters of garage door know-how and are familiar with the weather conditions and architectural standards of the region. Therefore, they can give you the best advice according to your preferences and specific needs, all the while conserving the region’s unique style. When the time to choose a residential garage door comes, trust the specialists in the industry. They will guide you through the multiple aspects to consider when making your purchase. For example, it will be necessary to verify the use of your garage and its location with regards to the house. Next, the insulation level required, the garage door opener model, and accessories will be decided. That’s not forgetting, of course, anything related to the decorative elements of your door, such as the model choice, color, texture, windows and decorative hardware. 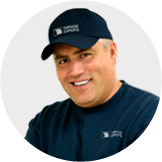 Why is LiftMaster the most renowned garage door opener brand in Burlington, VT? LiftMaster’s assortment of products is number one when it comes to garage door openers. 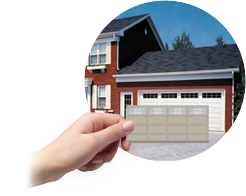 The garage door specialists in the Burlington area trust them for many reasons. LiftMaster, part of The Chamberlain Group, is a company which has been working in the domain for a long time. The quality and trustworthiness of their products are a clear indication of their expertise. Their garage door openers are extremely durable, a fact which garage door professionals regularly state. LiftMaster garage door openers are easy to use and can be adapted to the specific needs of each application. For example, if there is a bedroom located above the garage, a quiet model is preferable. They are compatible with all types of doors. This brand also offers a large variety of accessories to safely manage the use of a garage door. To conclude, the installation of a garage door by qualified technicians, as well as regular inspections, allow you to ensure the optimal functioning of your garage door system. This system will benefit from efficiency, durability and security. The professionals in the Burlington, VT area work meticulously in the installation, repair and maintenance of residential and commercial garage doors. To avoid emergencies and unwanted expenses, an annual tune-up program or annual inspection can be arranged for you. The inspection will be carried out by our teams. By doing this, your garage door system will remain in good working condition all year!